What Does Hebrews 6:10 Mean? 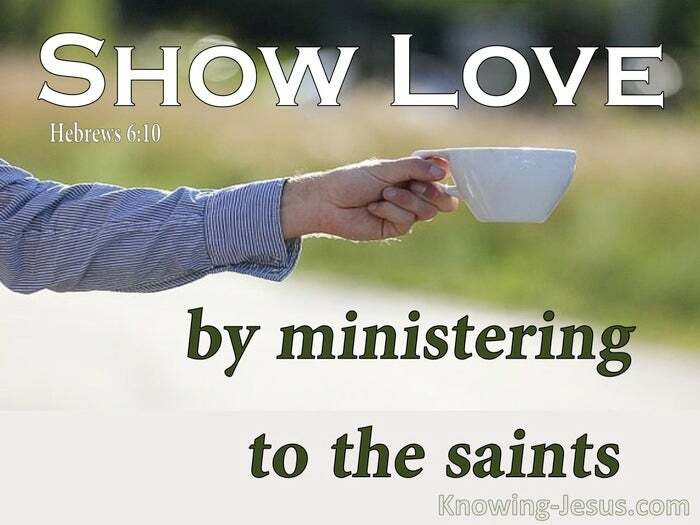 For God is not unjust so as to forget your work and the love which you have shown toward His name, in having ministered and in still ministering to the saints. The book of Hebrews is written to enable growing Christians to mature in the faith. It instructs us how to walk in spirit and truth. 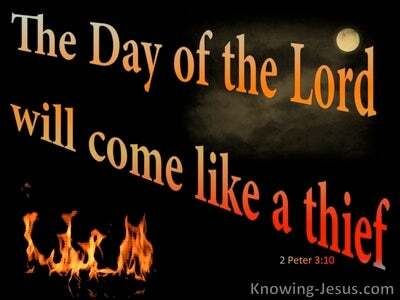 It trains us how to live for God and teaches us how to stand fast in the evil day. And although there are many warnings against falling, in our Christian walk, and many instructions on how to live godly lives, there are also many passages that are wonderfully uplifting and which offer great encouragement. The verse in question, which immediately follows an important warning against spiritual immaturity and some elementary instructions on reaching full maturity, gives some great encouragement to believers.. who are seeking to stand firm in the faith, in the midst of a crooked and perverse generation. 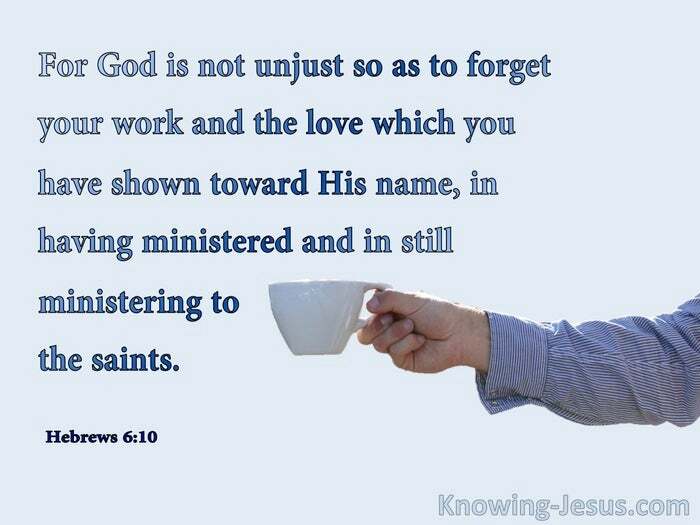 God is not unjust, so as to forget your work and the love, which you have shown toward His name, was the heart-warming statement these Hebrews Christians read, as they reflected on his earlier, more sober comments - the Lord will not forget all the good work you have already done, in ministering to the saints.. nor will He overlook the work that you are still engaged in. 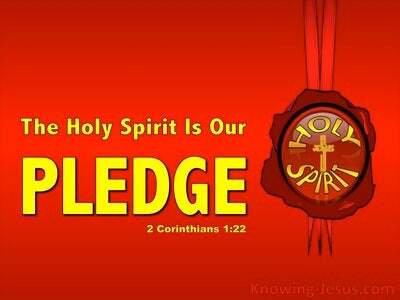 The hallmark of true faith is active, Christian love.. which is carried out in the power of the Holy Spirit. And the faith of these dear saints was manifested, in the ongoing work they performed, to the glory of God, together with their selfless, labour of Christian love, in ministering to their brothers and sisters in Christ. The writer to the Hebrews knew that God was not unjust, and that those that are trusting Him will never be disappointed by Him. There are occasions when we need correction and times when we need instruction.. but God knows that there are also times when His people need encouragement. What an assurance, therefore, to be told that the eyes of the Lord will never miss any good deed we do, for His glory, nor will be unaware of any labour of love, that is shown to Him, through a tender ministry that is directed towards His people. 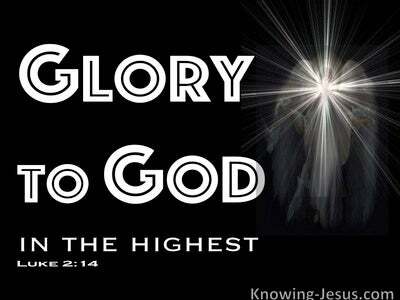 What a great encouragement it is, to all the people of God - to know that the Lord is aware of the thoughts of our hearts, the words that we speak and the actions that we carry out in love - for His praise and glory. How uplifting to know that even a cup of cold water, which is offered from a heart that is right with God, will not go unnoticed nor unrewarded. 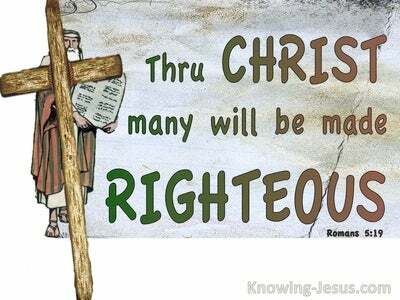 Heavenly Father, You are a good and righteous God, Whose faithfulness continues from one generation to the next. Thank You for my great salvation. Thank You for the opportunity I have to work to Your praise, and to love others.. with the love that You first gave to me. May I live to each day of my life as unto the Lord .. and I ask that You would give me opportunities to minister, in love, to the body of Christ. Thank You that nothing we do ever goes unnoticed by You.. and may my life be a daily witness and living sacrifice to Your grace and goodness - this I ask in Jesus name, AMEN.